Let’s start with Beyonce. Is it obvious where my priorities are? My name is Alyssa and I watched the Superbowl only for the halftime show. The group text with my friends about Beyonce’s performance looked something like this: “Don’t tell me queen B isn’t AMAZING!!!! Ahh she’s sooo cool!! She is the ultimate woman. I WANT TO BE HER.” We love her. Next, Baltimore. Congratulations to all Ravens fans and 49ers enemies on the big win. Last but certainly not least (this is the most important part), the blackout. How did that happen? According to NFL and Superdome officials, Beyonce’s halftime show did not cause the 33-minute power outage. Apparently, there was “a problem in one of the two feeder lines…” (USA Today). 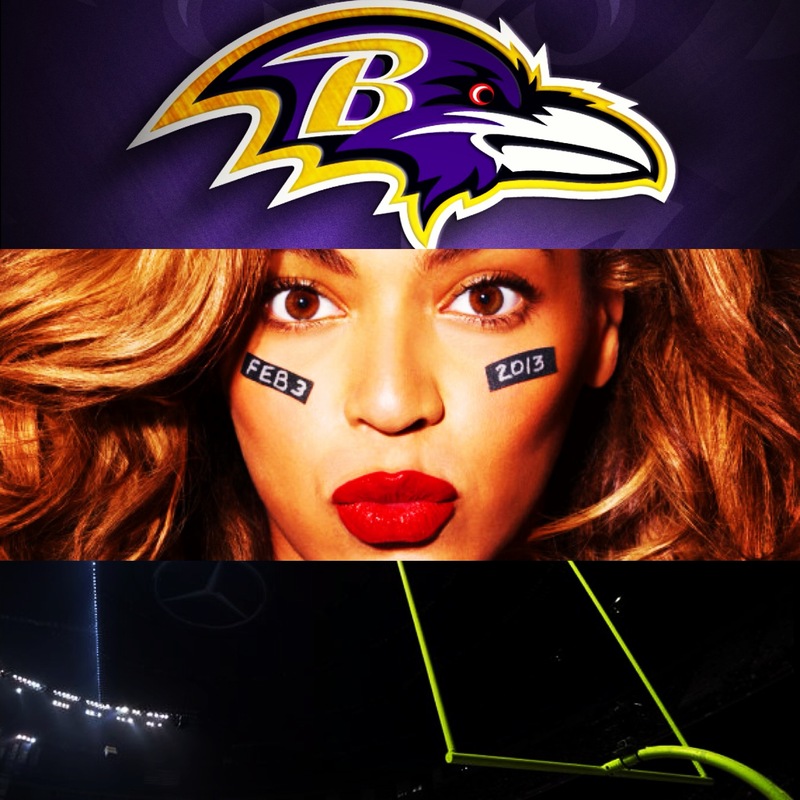 Anyways, the blackout caused some craziness and confusion at the Superbowl. Can you imagine what would have happened if there was a power outage that lasted several hours? Or what about a blackout that lasted several days? And what if it was really cold (not California cold)? Losing electricity can happen anywhere and can be very dangerous, so it is important that you’re prepared and know what to do in case there is a blackout. Follow these tips from the American Public Health Association! Store emergency supplies in your home, including a first aid kit, canned food (and a manual opener), bottled water, flashlight, batter-operated radio and any essential prescription drugs. Make sure you know how to shut off gas, water and electric supplies at the source in your house. Keep a fire extinguisher in the house. Tell the police department and fire department ahead of time if you have a person living in your home who needs special assistance. Locate emergency shelters in your community in case you need assistance during a power outage. If power is out for a long time, don’t eat any food in your refrigerator that is warmer than 40 degrees (°F) as measured by a food thermometer. Drink plenty of water if the weather is hot. But first call your local water company to make sure the water from your faucet is safe to drink while you are waiting for the power to go back on. If it’s cold outside, wear lots of clothing to keep warm. Don’t touch any power lines either on the roof of your home or on the ground. Don’t use the following inside of your home without ventilation: barbeque or camp grills, gasoline engines, generators, lanterns and gas ranges. Using these indoors could lead to a poisonous buildup of air (carbon monoxide) in the house. If you must use any of these appliances, be sure to open lots of win- dows first. Even though you can’t see it or smell it, carbon monoxide can kill you. Don’t burn any charcoal and wood in your home with the windows shut. If someone in your home gets an electrical shock, don’t touch them or the source of the shock! Use cardboard, wood or plastic to move the live wire away from the person. Once you have moved the electrical source, check the person’s pulse, call 911 and start CPR if necessary. If a person looks weak, lay her or him down and elevate the person’s legs. Check with your neighbors and see if they have power turned back on. If not, offer to assist them in any way you can. Make sure that your water is clean before drinking or bathing in it. Check the temperature of the food in your refrigerator before eating it: When in doubt, throw it out. For more information, visit What You Need to Know When the Power Goes Out Unexpectedly and Blackouts (FEMA). And if you haven’t seen Beyonce’s performance, here you go! Singing and dancing along as if you were the fourth member of Destiny’s Child is perfectly normal.